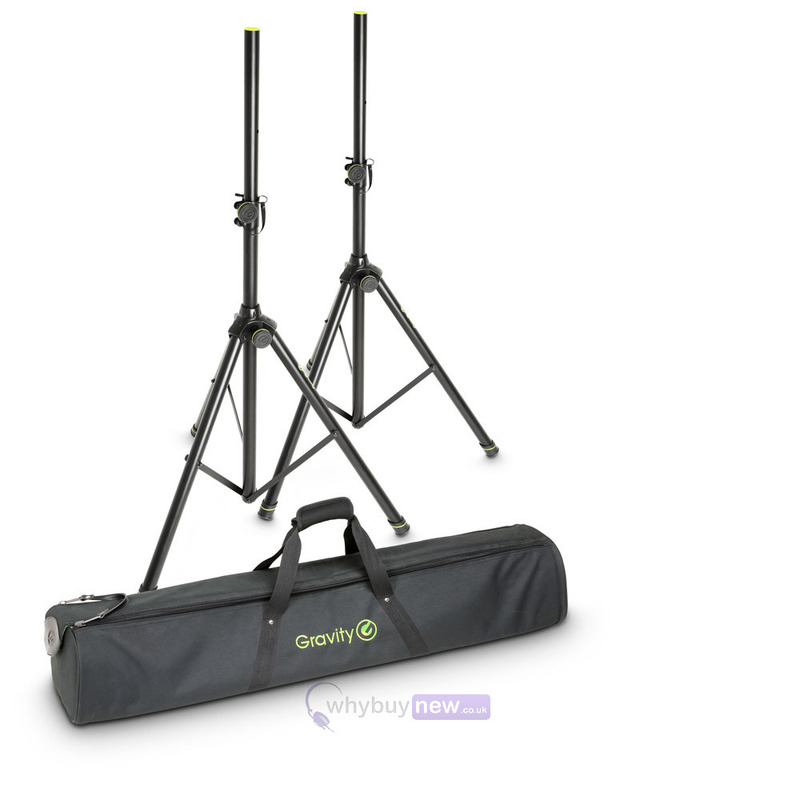 The SS 5211 B Set 1 is a speaker stand set which includes two Gravity tripod speaker stands and a padded nylon carry bag designed to hold and transport two Gravity speaker stands. 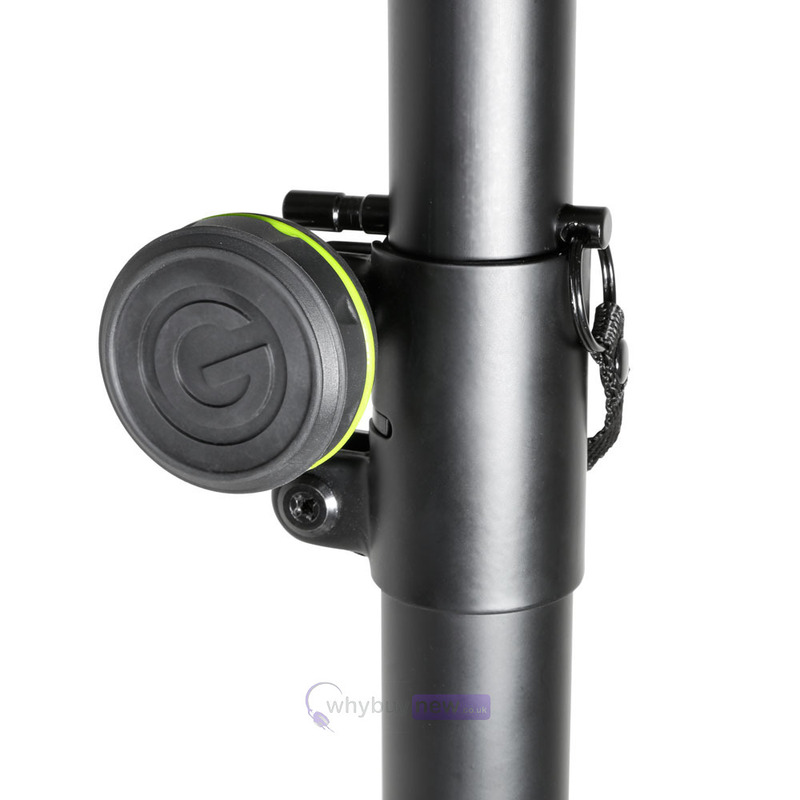 This Gravity SS 5211B SET 1 is "manufacturer refurbished" and will come boxed 'as new' with a 1-year warranty. 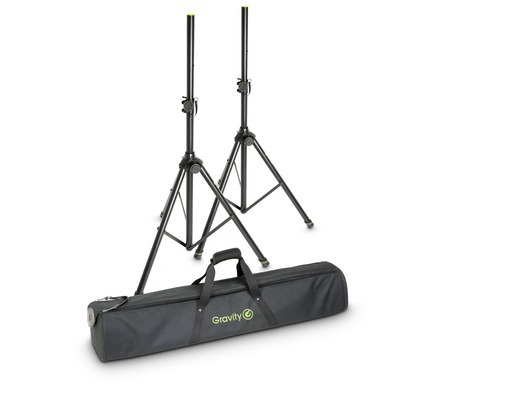 Buy this amazing speaker stand set with confidence with 100% satisfaction guaranteed or your money back! Needed to replace my old stands and after a lot of research I settled on these and I'm super happy I did. Firstly, the bag is superb and very well made. 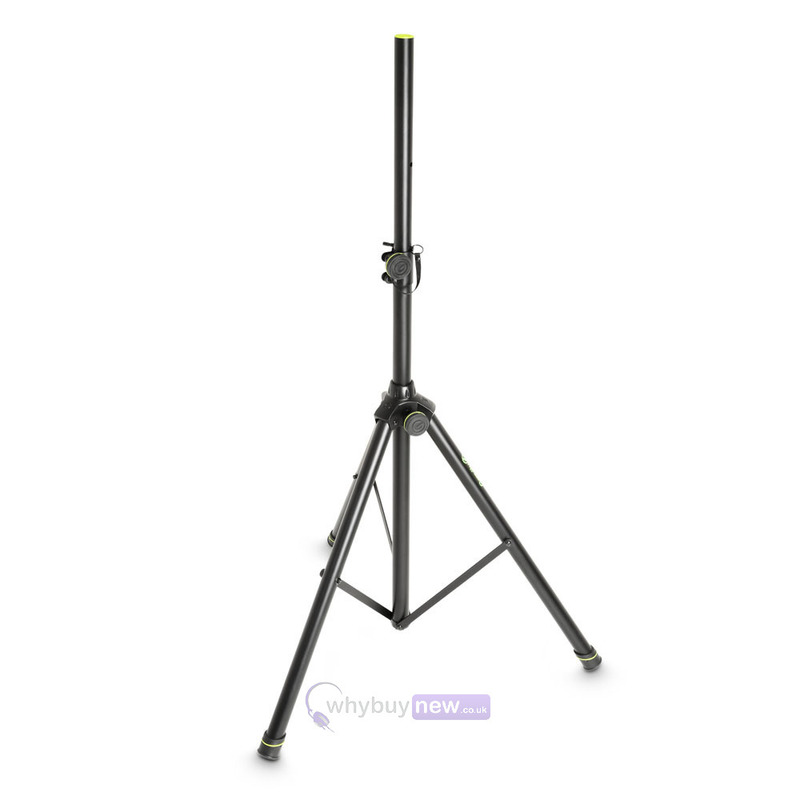 The stands themselves are unbelievably light, but amazingly sturdy and just scream quality. The finish is lovely, I'm a big fan of the green highlights and I genuinely couldn't be happier with them. 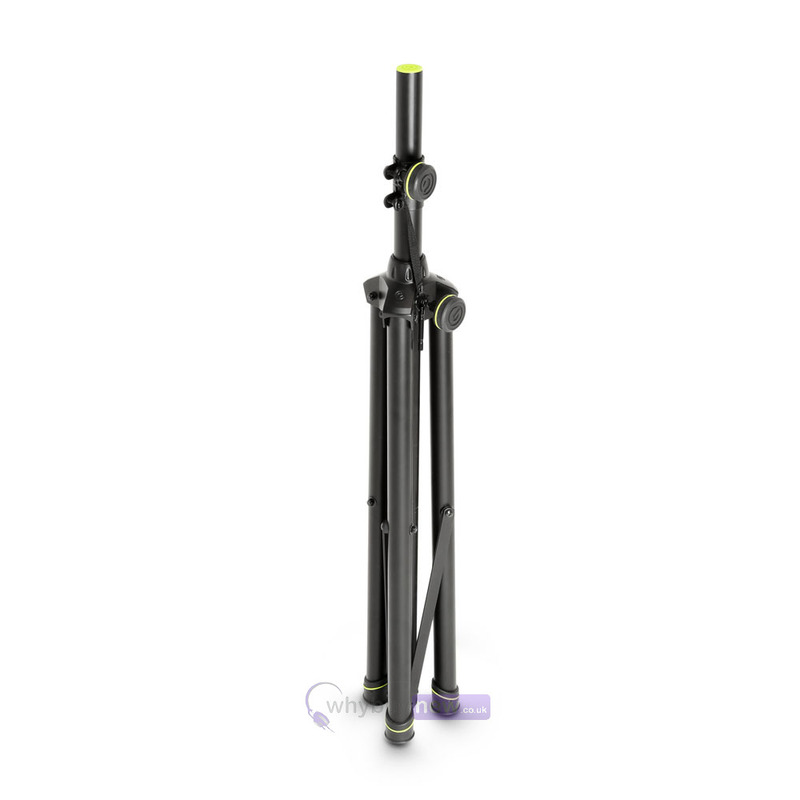 The Gravity speaker stands are definately the best I've owned for build quality, stability and looks. I've had to order some new speaker stands as sadly my last ones started to fall apart after years of use. When these arrived, the first thing I noticed was the carry handle... It's so comfortable to hold, and the overall weight is actually very little. So yeah, the quality of the bag is spot on, well padded inside to protect the stands and the zips are heavy duty too. So the important bit... The stands... It's not often i can say this, but they just scream quality when you hold them, the smooth finish of the paint, the build quality and even the rubberised knobs to tighten things up without hurting your hands. One thing i noticed was, the pin to hold the pole in position, has its own home! It's a little rubber holder at the side of the knob... I thought that was a nice touch to stop it rattling around and getting pulled off. Also i found in the bag that you can change the green rings to black too, but i kinda like the green. Makes them stand out from the rest. Taking all the above into consideration, I can see why they offer such a good guarantee. 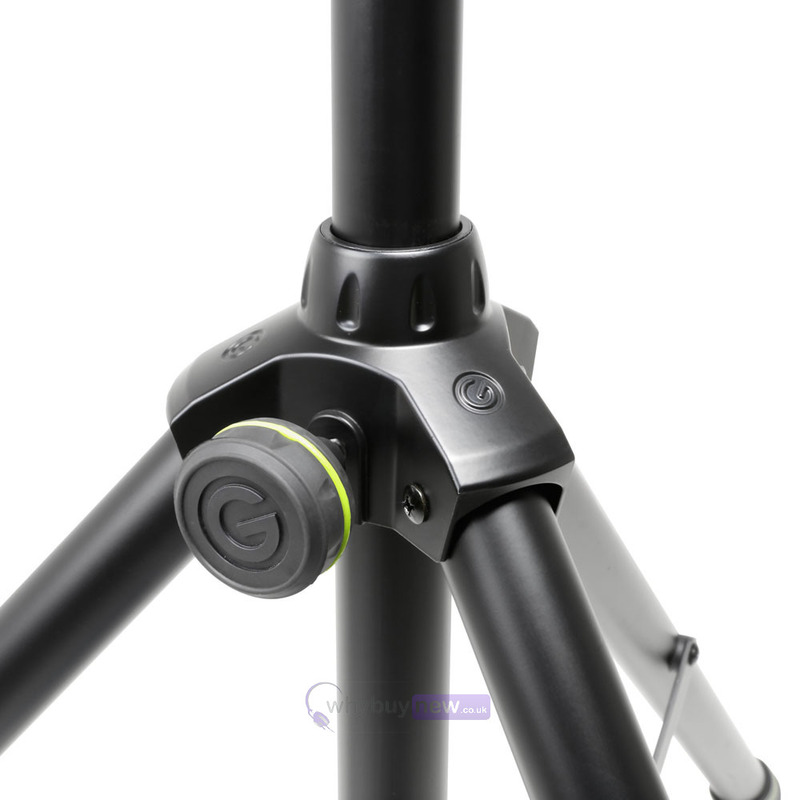 I can definitely recommend these if your in need of new stands.